The TwinRX daughterboard for the USRP™ X Series software defined radios is a dual channel superheterodyne receiver that offers wide dynamic range and accurate phase synchronization with LO sharing for spectrum monitoring and direction finding applications. The TwinRX daughterboard works interchangeably with other USRP daughterboards and is compatible with the USRP X Series devices. 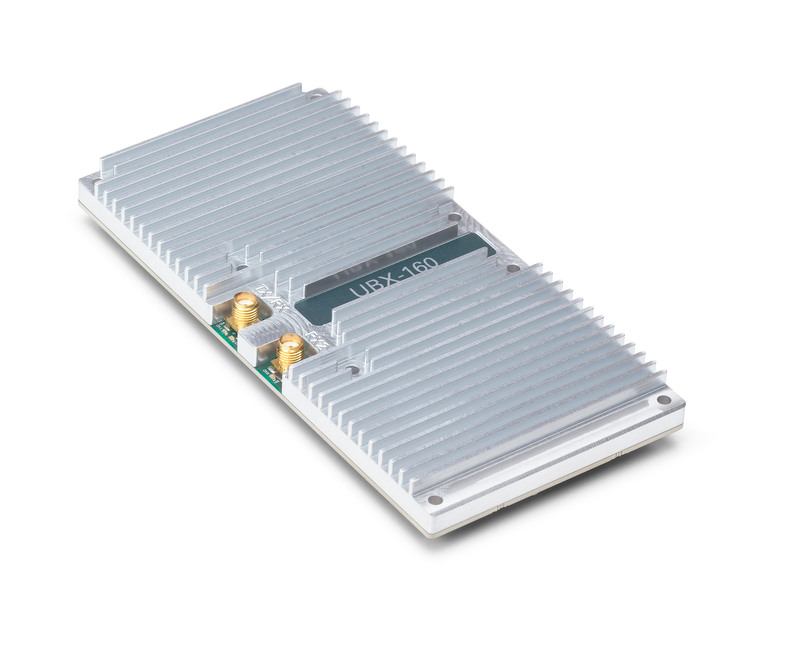 The UBX 40 daughterboard is a full-duplex wideband transceiver that covers frequencies from 10 MHz to 6 GHz with 40 MHz of instantaneous bandwidth. Coherent and phase-aligned operation across multiple UBX daughterboards on USRP X Series motherboards enables users to explore MIMO and direction finding applications. The UBX 40 daughterboard works interchangeably with other USRP daughterboards and is compatible with the USRP X Series and N Series devices. The UBX 160 daughterboard is a full-duplex wideband transceiver that covers frequencies from 10 MHz to 6 GHz with up to 160 MHz* of instantaneous bandwidth. Coherent and phase-aligned operation across multiple UBX daughterboards enables users to explore MIMO and direction finding applications. The UBX 160 daughterboard works interchangeably with other USRP daughterboards and is compatible with the USRP X Series devices. * The UBX 160 transmitter path has 160 MHz of bandwidth throughout the full frequency range of the device; the receiver path has 84 MHz of bandwidth for center frequencies from 10 MHz to 500 MHz. The WBX-120 is a full-duplex, wideband transceiver that covers a frequency band from 50 MHz to 2.2 GHz with an instantaneous bandwidth of 120 MHz. The WBX-120 can serve a wide variety of application areas including public safety, airband communications, amateur radio, and ISM. The WBX-120 is compatible with the USRP X300 and USRP X310. 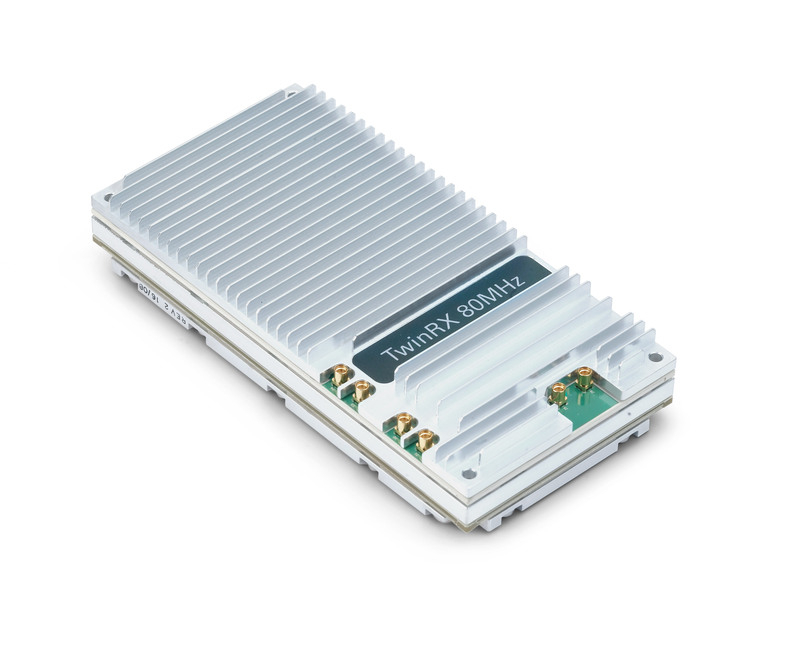 The SBX-120 is a full-duplex, wideband transceiver that covers a frequency band from 400 MHz to 4.4 GHz with a instantaneous bandwidth of 120 MHz. The SBX-120 can serve a wide variety of application areas, including public safety, GNSS, cellular and more. The SBX-120 is compatible with the USRP X300 and USRP X310. The CBX-120 is a full-duplex, wideband transceiver that covers a frequency band from 1.2 GHz to 6 GHz with a instantaneous bandwidth of 120 MHz. The CBX-120 can serve a wide variety of application areas, including WiFi research, cellular base stations, cognitive radio research, and RADAR. The CBX-120 is compatible with the USRP X300 and USRP X310. The CBX is a full-duplex, wideband transceiver that covers a frequency band from 1.2 GHz to 6 GHz with a instantaneous bandwidth of 40 MHz. The CBX can serve a wide variety of application areas, including WiFi research, cellular base stations, cognitive radio research, and RADAR.